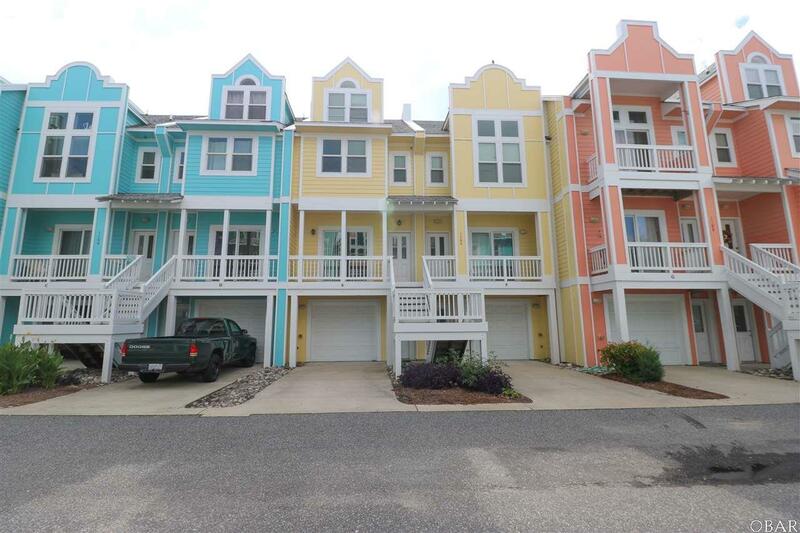 You will feel like a Caribbean King and Queen in this is a huge 3 bedroom 3.5 bath townhouse style condo where each bedroom has its own full bath and a sun deck or covered deck! The unit is four levels! The ground level has a single car attached garage and a rec room. The second level consists of two bedrooms while the third level is the kitchen and living areas. The fourth level is a master suite. The amenities for this community including a "lazy river" and carefree maintenance will make you feel like you live at a resort! This is a great townhouse style condo close to the association pool and amenities. Look at the superb condition of these units and you will know the comprehensive association fees are put to good use not only for maintenance of the units but also the resort style amenities. HOA fees include wind & Hazard insurance, exterior maintenance, roof, siding, painting, decking, fencing, windows, termite treatment landscaping and irrigation, interior sprinkler system, clubhouse, fitness center and lazy river pool. Act now on this is a great value as a primary residence, second home or investment property!